Barcelona have seriously pushed the boat out in terms of bringing in players this summer, with the Blaugrana signing a number of young stars to improve the overall quality and depth of their squad. With Ernesto Valverde’s side shipping in stars like Arthur Melo, Malcom and Clement Lenglet this window, the club look to be preparing themselves for a long and tiresome campaign this year. 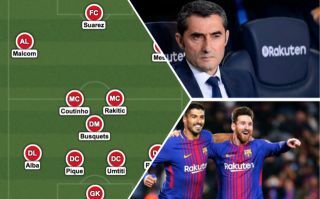 With Valverde already having a very strong squad at his disposal last year, Barca’s side only looks to have gotten better as they look to go all the way in every competition possible this time round. Following their activity in the transfer market, we’ve looked at just how Barca could line-up with their new look side this season coming. Marc-Andre Ter Stegen’s displays last year showed everyone that he is capable of handling the pressure of playing for Barcelona, as well as being one the best shot-stoppers on the planet. The German international probably should’ve started for Die Mannschaft at the World Cup this summer, as he showcased just how good he could be for the Blaugrana last season. It would be very surprising to see the club not start the German in between the sticks this year, with Jasper Cillessen not posing much of a threat to Ter Stegen’s no.1 spot for the club. With Sergi Roberto performing admirably at right-back last year, we could see him deputise there this season, however don’t be surprised to see Nelson Semedo claim a few start on the right-hand side of the Barca defence if Roberto is needed in midfield. Gerard Pique and Samuel Umtiti were one of the best centre back pairings in the world last year, with the duo being one of the main reasons why the club only lost three matches in all competitions. 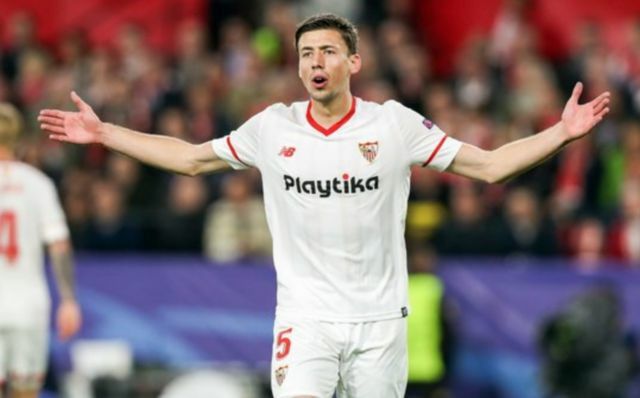 Despite Lenglet’s arrival, which cost the club €35.9M as per ESPN, we should see the pairing reunite this season at the centre of Barca’s defence as they look to replicate the fantastic form they both showcased last year. Jordi Alba has no real threats to his starting spot at left back, which is something that most likely wouldn’t matter anyway considering just how well he performed for the club last year.